One of the first things you realize when you move to a tropical land is just how many fruits you’ve never heard of or tried before! Sure, US supermarkets are stocked to the brim with far more products than you’ll find in nearly any store in the Caribbean, but that doesn’t mean you can find the same things. Once you step foot into your local tropical market, supermercado, or roadside stand and find these tasty treats, you’ll be reminded just how different life in the tropics really is. 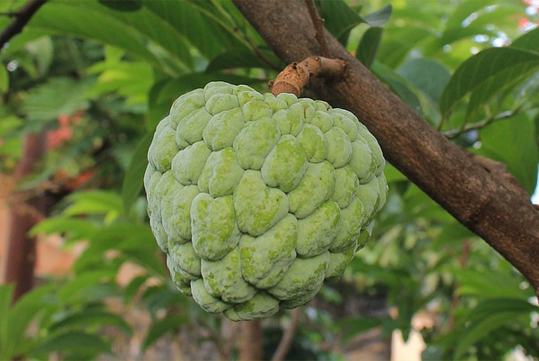 This strange fruit looks like a cross between brains and scrambled eggs and is known as Jamaica’s national fruit. The flavor is buttery and nutty and scrambles well with saltfish. 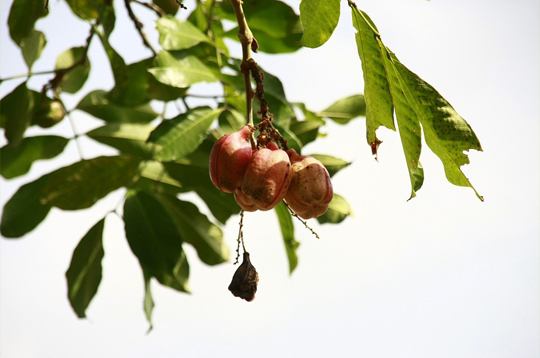 Note: Unripe ackee is toxic and will likely cause vomiting if ingested. Similar to a zucchini in flavor and texture, these wrinkled, pear-sized fruits soak up the flavor of whatever they’re paired with and tend to work well in savory dishes. 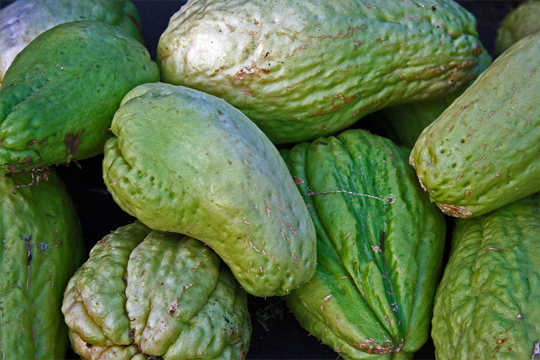 Once referred to as “the most delicious fruit known to men” by Mark Twain, Cherimoya has a very soft texture and a flavor somewhere between banana and pineapple. 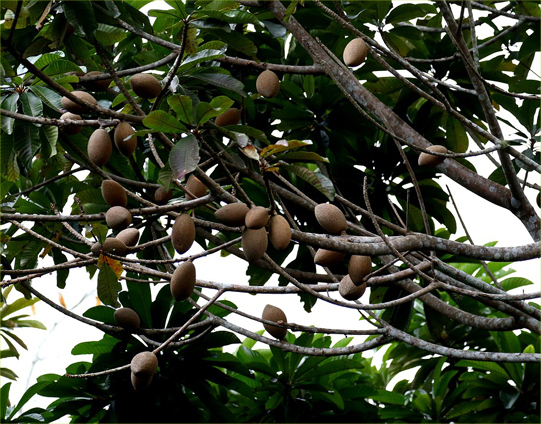 Mamey has a sweet and creamy flavor falling somewhere along the lines of a mellow mango or milky papaya. These fruits can get quite large have a custard texture, which along with the flavor profile, make it ideal for milkshakes. 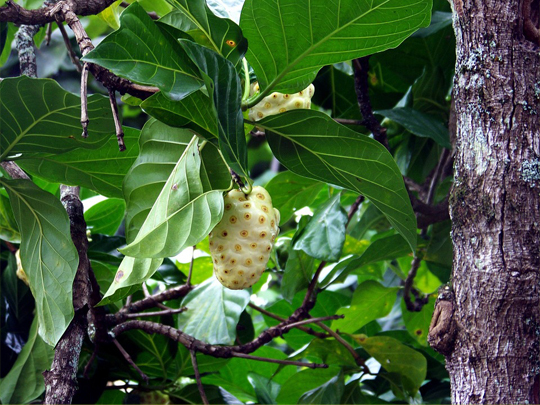 Typically served as a juice, noni are known for providing a boost of energy and have a strong, bitter flavor. 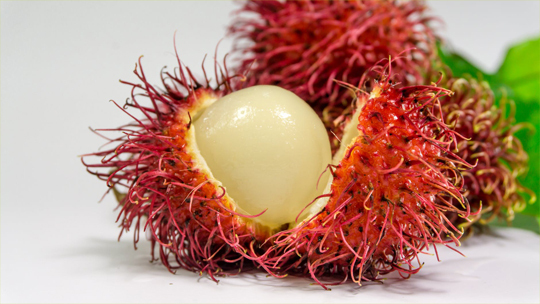 This ping pong sized fruit is eye-catching with its bright pink/red exterior covered in soft spikes. Making a slice in the center reveals an almost iridescent fruit inside which will peel easily from the spiky shell. The fruit itself has a flavor similar to a soft cherry or kiwi. 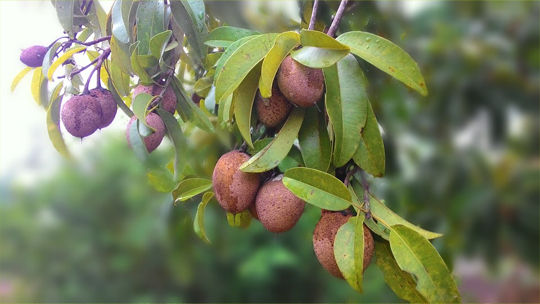 While not the most glamourous looking, this fruit is best eaten plain–it tastes like a very sweet pear! 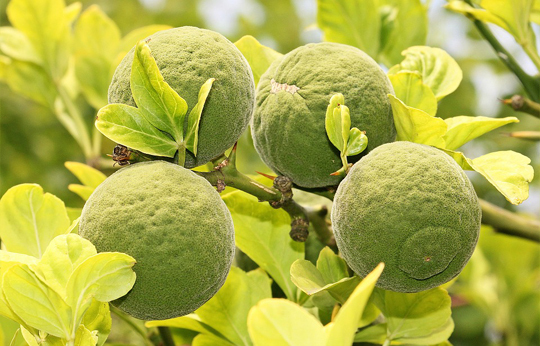 Sour oranges, like the name implies, are extra-sour fruits (although not orange!) with a flavor closer to what Americans think of as lime with an extra bitter kick. Sour oranges can be eaten out of hand, but a much better use is to use it in cooked, savory dishes.